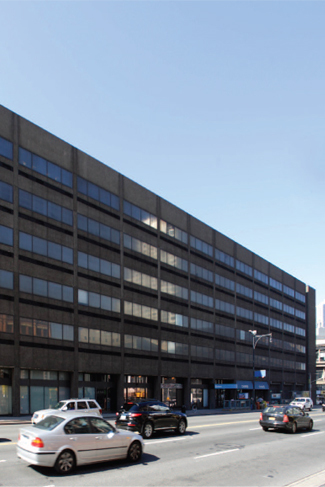 30 Flatbush Avenue was built in 1972 and acquired by Capstone in December of 2010. The Property occupies an entire triangular block which is bounded by Flatbush Avenue, Nevins and Livingston Streets to the east, west and south, respectively. It is a six-story plus penthouse office building, approximately 232,000 square feet, with retail spaces on the ground level. A 62-space parking garage is located on the basement level and there is a storage area located on a sub-basement level. The office portion of the Property is 100% triple net leased to Con Edison until 2027. The retail portion of the Property comprises 9% of the total square footage, or around 21,000 square feet. The main entrance to the building is off of Flatbush Avenue and leads to a lobby area with security desk and a turnstile system. The lobby is improved with tile flooring and stucco covered walls, and has 25’ ceilings and lobby desk.